Lucky me, one of my very best teacher friends is also moving schools and grades. So I went along to her classroom to help her plan her set up, décor etc. I am so excited for her. She is moving from a 7/8 to a 3/4 (my former stomping ground!). She is going to have a classroom theme and everything!! She has chosen Superheroes (also a personal fav. of mine!). Some things she needs: desk name plates, numbers for her coat hooks, a WOW board, a calendar and a whole lot more! Last year she was using the amazing notebooks from my friend Erin (I'm Lovin Lit). 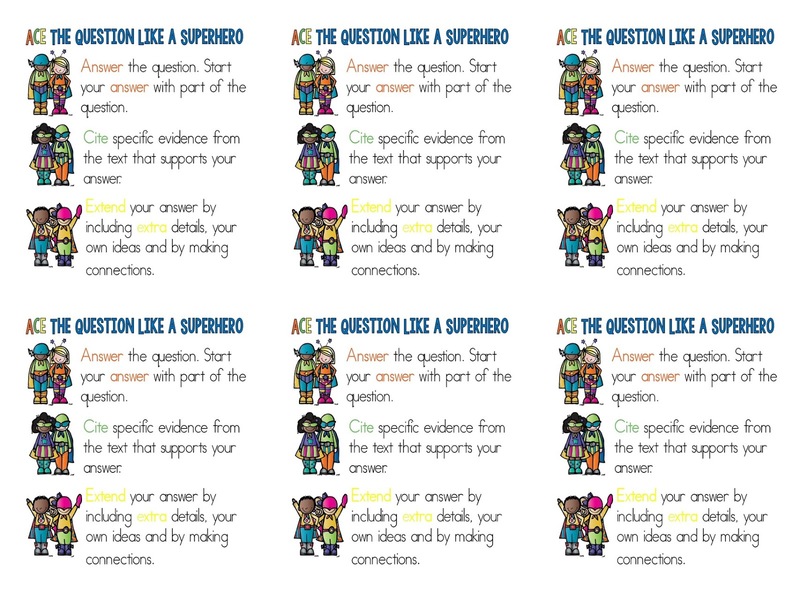 Erin has this amazing freebie to help students frame their answers using the acronym A.C.E..
As a mentioned my friend is going to do a theme (woohoo!) so I took Erin's idea (with her permission of course) and added some superhero clipart and made this cute little poster. I made it a weird size since I was just playing around with it but I have fixed it so that it will print as a poster 18 x 24. You can print it at home - it takes about 8 pages and then cut and paste it together, you could print it just as an 8.5 x 11 or you can do what I did and have Business Depot print the poster for you. It cost me (here in Ontario) $14.99. Okay this next one is really more like 1a and not 2 but.....I made the same poster using A.P.E. 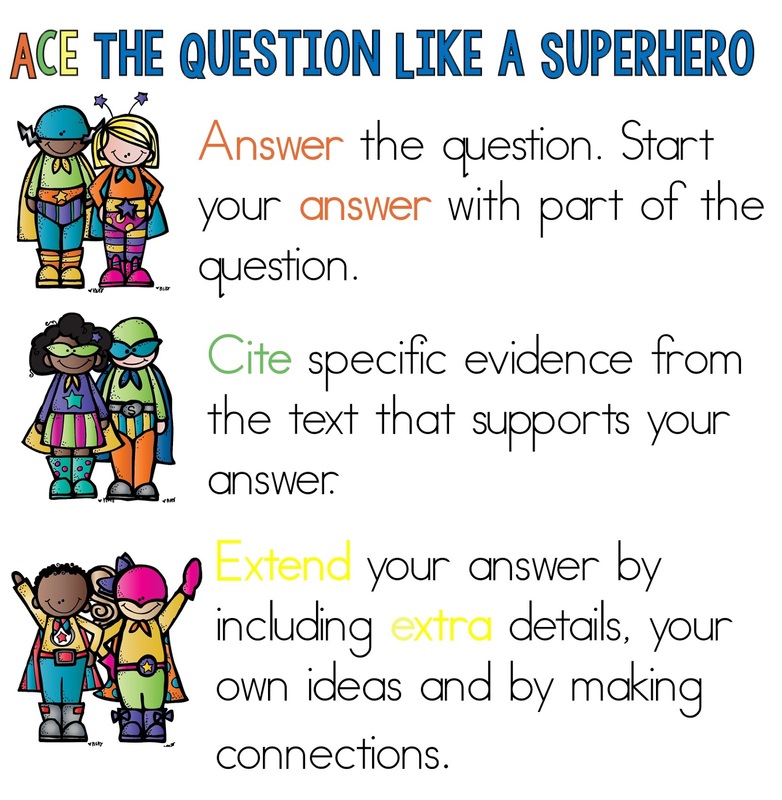 since that is how I taught my students to respond to answers. I taught them some silly things to do with this acronym when I taught it - to try and make it fun and stick in their head. I broke down each part and introduced each one over about 2 weeks. When introducing A - I had them ACT like apes - hands in armpits making ape noises and squatting around the room. When introducing P - I had them POUND on their chest - we talked about pounding the answer in with proof. The next one is an idea I took from this great tutorial from Kristen at Ladybug's Teacher Files on making covers for my Pinterest boards. 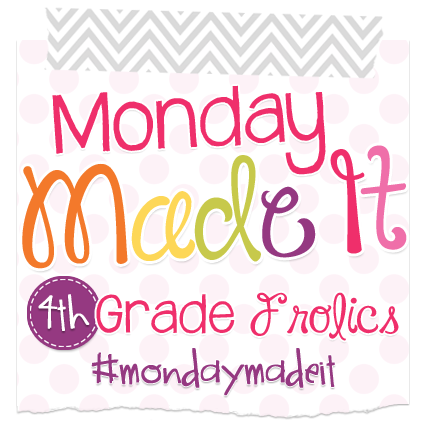 Hers are amazing and have great clipart to match each board. I made one cover and just changed the title for each board but I am loving how it looks. You can check out my Pinterest boards here if you want. This next made it is actually my daughters. I shared a pic of it before on Instagram but thought some people may need an activity to occupy their kids and this one takes a while. All you need are a pair of plain flip flops and balloons - the water balloon type. All you do is tie the balloon around the thong. Make a knot or double knot and voila. My daughter does say that the balloons heat up in the sun if she leaves them out on the driveway too long. The added bonus my girls enjoy is that since a bag of water balloons comes with many colours but they only want to use some of the colours they are able to have a lot of water balloon fights!! Great posters! Kristen's tutorial is on my to-do list this week :) Your boards look great! Love the flip flops, too! Wonderful ideas! Thanks so much for sharing the ACE posters....truly awesome! 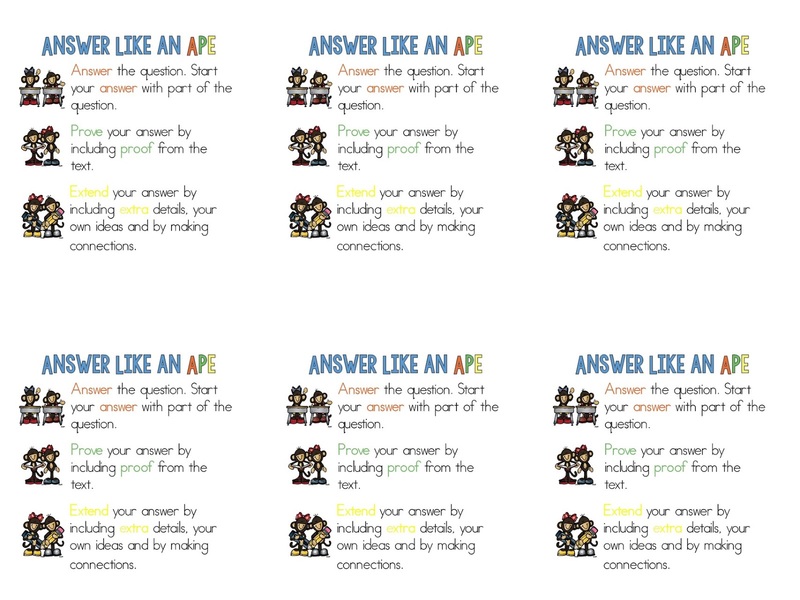 Love the APE, and we'll be gluing them into our response journals for continual reference! Definitely going to have to redo my pinterest boards. I've seen so many cute title pages, like yours!! :) Love them! Oh...thank you for the ACE poster. YAY...YAY! I love what you have done with your Pinterest boards, but you already knew that. I want water balloon flip flops. Can I borrow your daughters to make me some?? I love your Pinterest boards! I added that to my to do list. The flip flops are awesome. I'm showing that picture to my niece. Thank you! You're like the 3rd person I've read about doing their pinterest boards! I have to do mine now!! :) Your post has so many wonderful things. I am loving the superhero theme. LOVE LOVE LOVE everything in this post!! 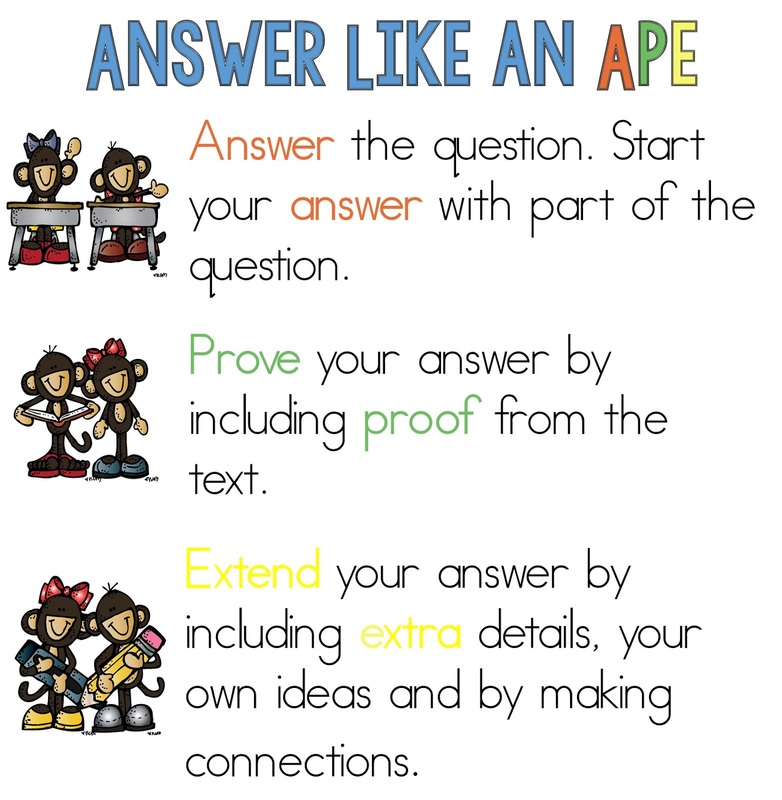 Love the APE reference and it would really stick with the students, especially with your gestures! So eager to hear about your new position when you can spill the beans!